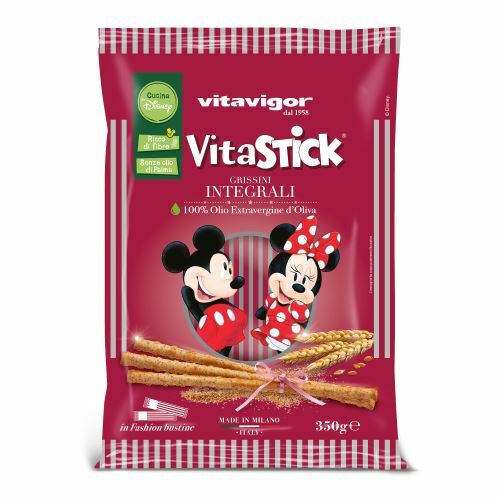 The new Disney line of snacks and breadstick, suitable for the whole family. 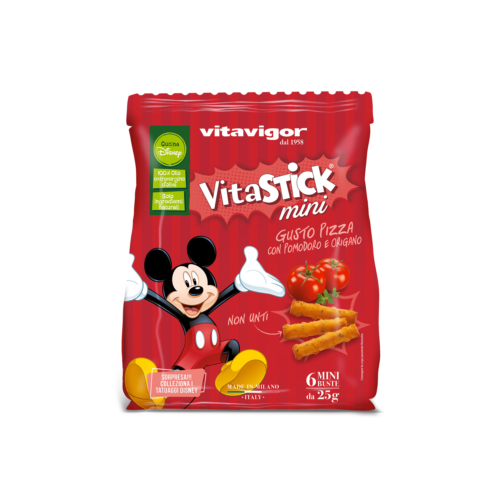 The Vitastick line offers parents the opportunity to choose a healthy, tasty snack and a “fun” breadstick for their children! 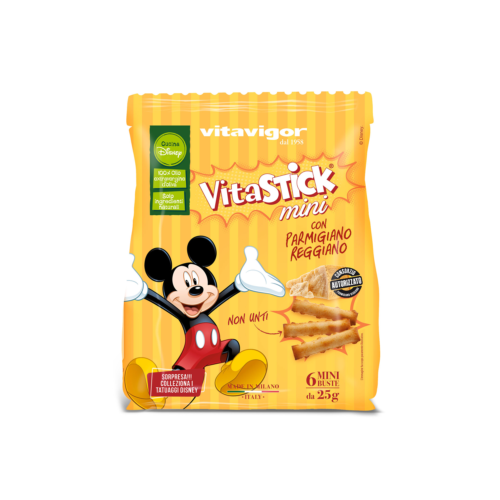 The recipes are designed and balanced to teach children the habits of healthy eating from an early age, without sacrificing the flavour and taste of our Mini Snacks. 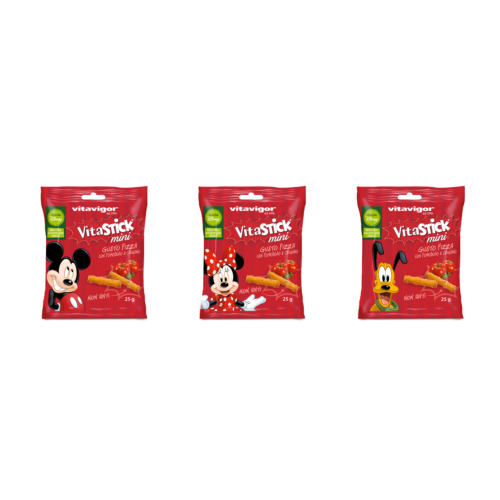 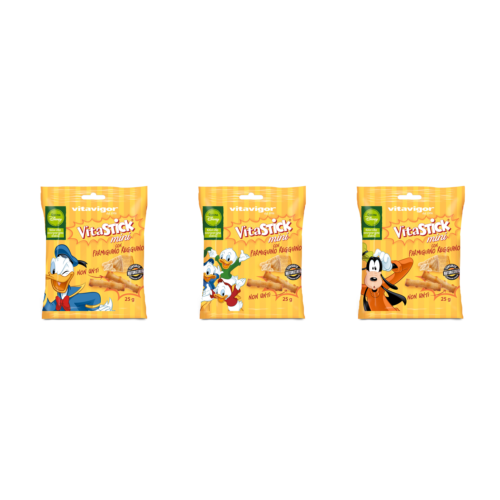 Vitastick Mini packages contain collectible Disney surprises.